French vodka brand Poliakov has unveiled a new immersive digital experience titled Poliakov Ice Quest. 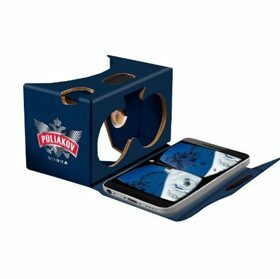 Poliakov Vodka has developed a new virtual reality (VR) experience using the HTC Vive headset – said to be the best VR device currently on the market. This new technology uses headphones, headset and joysticks to stimulate senses, and takes users through a “unique freezing and futuristic universe” through an immersive VR video game. “We wanted to ensure maximum interactions for the player” said William Ploquin-Maurell, international Poliakov brand manager. A select few Poliakov fans were given the opportunity to experience the Poliakov Ice Quest, wandering freely in a 25sqm space. Players completed various levels and interacted with the 3D universe. This experience is available through a 360° teaser video on YouTube, watched on a bespoke Polikov cardboard to benefit from the 3D effect.